Since 2001, Loren has been bringing fun times to waterfront bars, sunset sails, parties and special events of all sizes from California to Key West. 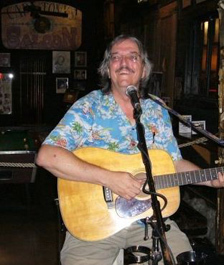 Loren's melodic voice, acoustic guitar work, musical style, and "keep it fun" attitude toward his performances inspire and encourage his audiences to escape from stress and enjoy the moment. His music is perhaps best described as "coastal Americana," a virtual vacation to the paradise in everybody's minds, bringing smiles to audience faces. As a performer, songwriter, and recording artist, Loren is the perfect addition to your entertainment schedule, party, or corporate event anyplace in Florida or surrounding areas. If you enjoy music by artists like Jimmy Buffett, Kenny Chesney, the Zac Brown Band, and John Prine, you'll enjoy Loren's music.